I imagine that for lots of our readers Allbirds needs no introduction. 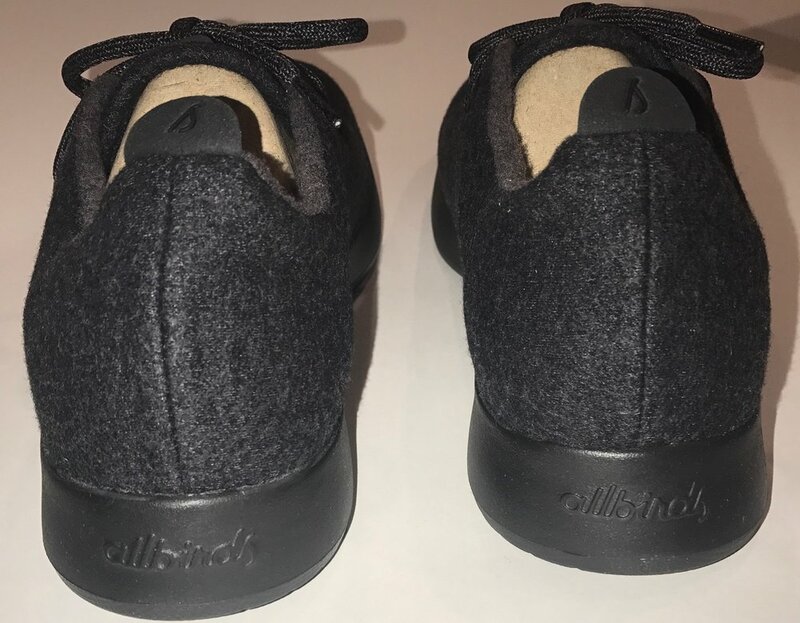 Most folks who keep even a lazy eye on the “start-up” world will have heard of some tech executive or will have a friend who preaches about their Allbirds wool Runners. They have done a fantastic job of becoming synonymous with “comfort” and “cool”, so of course I had to give them a test run. For those who haven’t heard of Allbirds, though, they are a sneaker company that, rather uniquely, makes their shoes out of wool. This promises all sorts of benefits, like the ability to throw them in a washing machine without worrying about them getting ruined, the fact that they wick moisture, and sweat so they don’t smell. On that note, Allbirds actually even says that socks are totally optional when wearing their shoes due to all of that. Perhaps the biggest deal about wool shoes, though, is that they are apparently just insanely comfortable — like, more-comfortable-than-anything-you’ve-ever-put-on-your-foot comfortable. In short, the founders of Allbirds wondered a few years ago why no one had ever made a shoe out of wool considering all its benefits, and so they went ahead and did it themselves. Still sound a little weird? Well, that’s what I’m here to figure out. Allbirds offers two kinds of shoes: Runners and Loungers. Both cost $95. The former is their classic sneaker — the thing that made them famous. The latter is a more recent introduced slipper/sneaker hybrid. (They also actually just announced the launch of “Smallbirds”, which features their signature wool Runners for smaller children at the lower price of $55.) In this review, we’ll be taking a look at the Runners, but a review covering the Loungers will be coming to the site soon as well, so keep an eye out for that! So, how great really are these Allbirds Runners? Do they live up to all the hype? Website: Their website is one of the most beautiful and well-designed websites I have ever seen/experienced. Everything from their logo to their copy to their graphic design is just perfect. They are (or should be) the absolute gold standard in website design for online stores. Even if you have zero interest in their sneakers, you should definitely check out their website. Color Options: Allbirds offers three “Classic” color options for their Runners, and four “Limited Edition” options (though these are always changing in quantity and options). The classic colors are black, white, and grey (which makes sense), while the limited edition options are olive, birch, moss and plum (again, constantly subject to change, and once they sell out of a color, they are usually gone for good). Personally, I was looking for a Runner that wouldn’t look too terrible with my dress pants so that I can sneak (pun?) it to work every once in a while. Given that, I went with the Classic black color. Shipping & Returns: Shipping and returns are both free. That’s awesome. But it gets better than awesome. Not only are returns free, and not only do you have 30 days to make said return, but you can also “try” the shoes during this 30-day period. They call it the “30-day trial period,” and after this period, “you can return your shoes or insoles with no questions asked, even if you have worn them out in the wild”. That is incredible! This is the best return policy I have ever seen for any product, especially in the clothing industry, and even more especially for shoes. Major, major props to Allbirds on this. 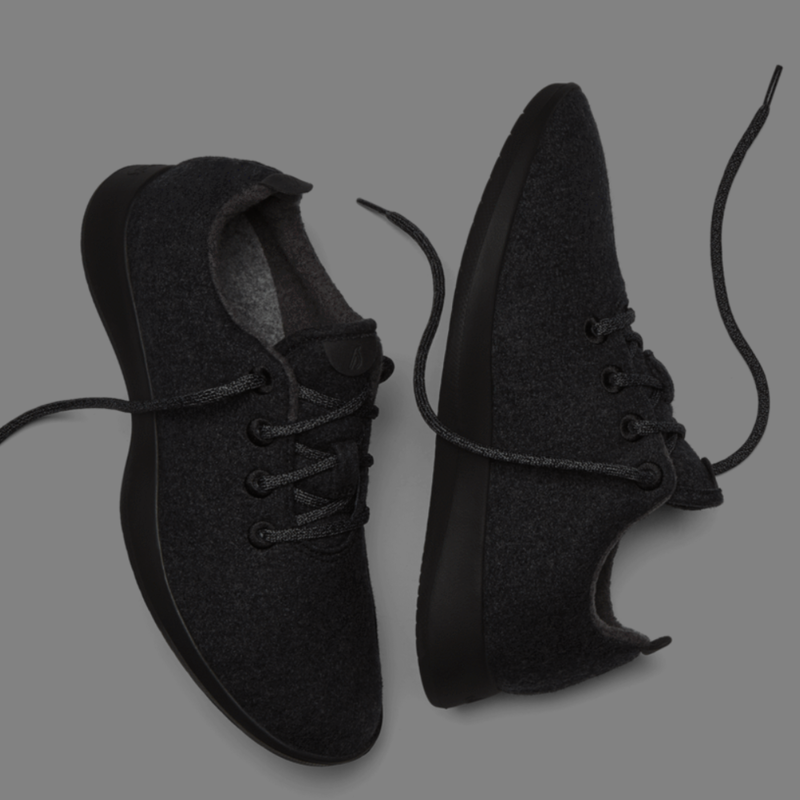 Packaging: Allbirds has also become popular for the way they package their shoes so as to reduce their carbon footprint. How do they do this? They use much less cardboard in their packaging by shipping each shoe in a separate cardboard compartment, thus making the shoe box itself the shipping box (as opposed to the typical box in a box). This happens to result in a pretty unique unboxing experience, as you can see in these pictures. Moreover, they do a nice job in adding some cool messaging on the box itself. All in all: Allbirds gets an A++ for the entire “Ordering Process” experience. Quality & Construction: The quality and construction of these Runners is a bit complicated. I’ll start with the good stuff. Their stated goals are to create a sustainable shoe out of merino wool fabric that (a) is super comfortable, (b) minimizes odor, (c) regulates temperature and (c) wicks moisture. The good news is that they certainly met these goals. The upper part of the shoe is made out of their proprietary wool fabric “with a soft itch free interior and a durable, dirt-resistant exterior, cut into a single, sock-like shape for uninterrupted comfort” (all claims which it absolutely lives up to). The insole is lined with their merino fabric, which includes the moisture wicking and odor reduction qualities. This insole can actually be removed and washed with the shoes or replaced from Allbirds when you have worn it down. The sole itself is very lightweight and made out of a “low-density foam and rubber” so that the shoe will be as light as possible (and they are crazy lightweight), while still providing enough cushion and anti-friction control. I can attest that these shoes truly meet the stated goals of comfort, odor reduction and moisture wicking. I can’t attest to the “regulates temperature” goal since that would require a more precise scientific measurement. Comfort: Do they live up to the hype?! Well, what I can tell you with absolutely certainty is that these are the most comfortable items I have ever worn on my feet, and the most comfortable items you will every wear on your feet. Full stop! Allbirds does not have any half sizes. That’s super strange for a company that literally only sells shoes (and only two kinds at that! ), and for a company so dedicated to catering to their customers. (Truth is, I’d bet they have a really good reason for not having half sizes, and I’d love to hear it.) For those that need half sizes, Allbird’s suggests sizing up. Personally, I’m a size 11E shoe, so I went with the size 12 (due to needing more room for the width) and they fit me quite perfectly. This leads me to believe that these Runners are clearly not true-to-size and run about a full size larger than listed. Thus, I might recommend sizing up a full size (if possible) from your true size, especially since these are lace up. However, given Allbirds’ return policy explained above, I would recommend ordering two sizes, trying them both out (outside even!!!) and simply sending back the one you don’t like. I have mixed feelings about the “style” of these Runners. On the one hand, I think they are (at least in most colors) super cool and simple sneakers that look fantastic. On the other hand, I’m not sure I’d think that if I saw these Runners for the first time without having ever heard of them before. In other words, are they objectively stylish or are they only stylish because they are associated with the Allbirds brand? I’m not sure. In fact, when I wore these to work, I got compliments from those who recognized that they were Allbirds, but insults from those that had never heard of the company. This led me to believe that they weren’t as cool looking as I thought. What do you think? Especially given the long-term durability concerns spoken about above, I don't think these shoes would, or should, replace a more classic white sneaker (like the Nike Killshot, or even more basic Converse) in terms of versatility or even style. As a secondary (or higher) sneaker in your rotation, though, these can certainly add an awesome, casual, relaxed vibe to your outfit that is still pretty unique (especially if you get it in a Limited Edition color). In short, these are definitley sneakers I am happy to own and have as an option for those days when they just feel right — we all know those days — though don't expect to become my go-to kicks. You pay $95 for the most comfortable pair of sneakers ever. I think that is a great value proposition. In fact, I think I would say the same if the price was $125. Comfort is always the most important thing I want from my kicks (with style being a close second), and this Runner delivers it in spades. Now, even if it’s true that these Runners aren’t super durable, I still think that the $95 is well worth it. Even if you are skeptical about the “comfort” claims (as I was) and think it’s the typical new-age BS that we hear all day from start-up companies, you should still give it a try for 30 days. The generous trial period really affords you the time to check out the fit and comfort for yourself, indoor everyday life. They are that confident you’ll like them. So, join the cool crowd and check out a pair; it’s worth a spin. Nov 8 Allbirds Loungers In Review: Do You Need These Slippers?